The structure of a molecule of fat, oil or grease looks like a jellyfish. The head is a compound known as glycerin and fatty acid chains hang off the glycerin. In the conversion, a methanol molecule replaces the glycerin as the head of the molecule, producing diesel. Biodiesel is already readily made out of cooking oil but BlackGold says its process is far more flexible in the range of material it can convert into fuel and it is not thwarted when the fats turn rancid. The researchers are not advocating diverting the more than 453 million kilograms of butter produced each year in the US toward fuel production because the cost of edible butter is high which Emily Landsburg, chief executive of BlackGold has conceded. But her company does see agricultural waste, including that of dairy farms, as potential sources of biofuel. “We took the project on as a demonstration of just how robust our technology was, that it could handle all kinds of low grade wastes,” she said. 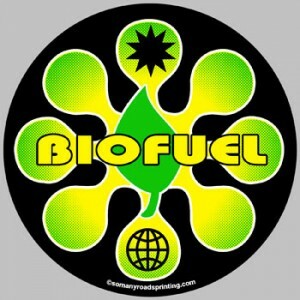 San Francisco in California has just built a biodiesel plant that uses the BlackGold technology, the first of its kind, with the hope of converting pan scrapings or other so called brown grease, grimier and dirtier than cooking oil, from restaurants into fuel. The plant could eventually squeeze 1,249 liters of biodiesel a day out of 45,425 liters of greasy wastewater. What could be a mere waste becomes a good resource.